Huge red Adirondack Chair in the Wade Oval lawn, near the Botanical Gardens. Owned by University Circle, Inc. 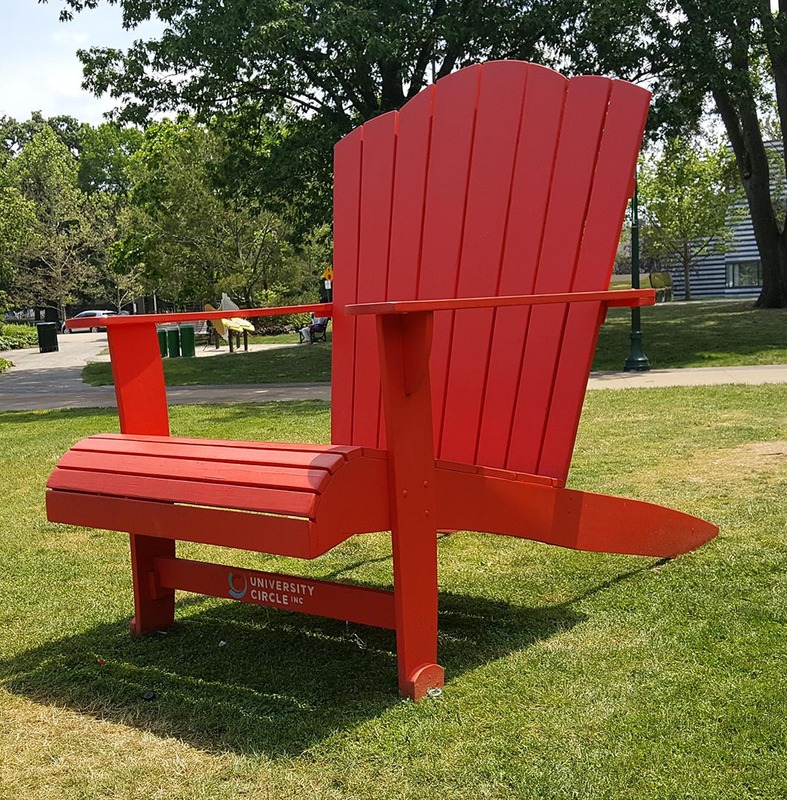 It is displayed intermittently for events at Wade Park and always makes for a great photo-op. 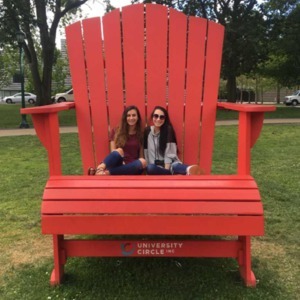 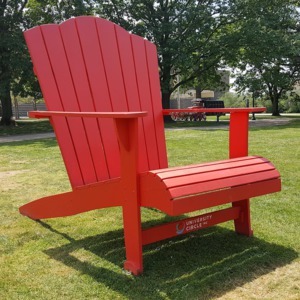 : “Big Red Chair.,” Ohio Outdoor Sculpture Inventory, accessed April 22, 2019, http://oosi.sculpturecenter.org/items/show/1385.